The MAAL-011134 is a high dynamic range, single stage MMIC LNA assembled in a lead-free 2 mm 8-LD PDFN plastic package. This amplifier has ultra low noise figure, high gain and excellent linearity. In the 50 O environment and at 3 V, this device offers less than 0.5 dB noise figure at 2.4 GHz, with 24 dB of gain and over 33 dBm OIP3. This low noise amplifier has an integrated active bias circuit allowing direct connection to 3 V or 5 V bias and minimizing variations over temperature and process. The bias current is set by an external resistor, so the user can customize the power consumption to fit the application. VBIAS can be utilized as an enable pin to power the device up and down during operation. 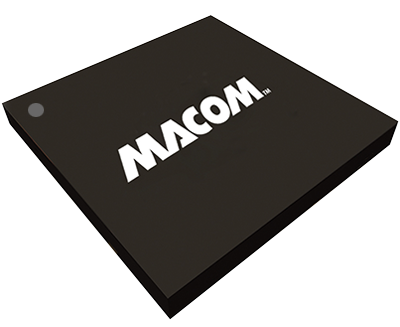 This MAAL-011134 is ideally suited for 802.11 multimode applications at 2.4 GHz and 5.8 GHz. The high gain, low noise figure and fast switching speed make it ideal for 4 x 4 MIMO 802.11ac applications.